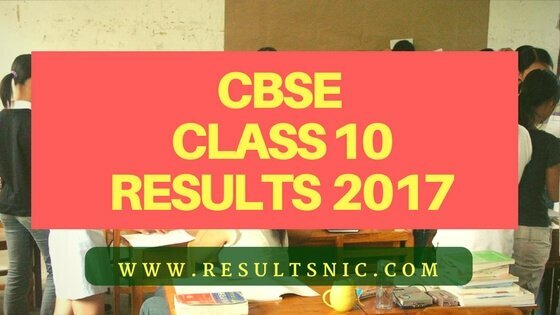 CBSE 10th Result 2017 : CBSE 10th Class Result 2017 is now available on the official result website of CBSE. CBSE 10th result for all regions are available on the website cbseresults.nic.in . 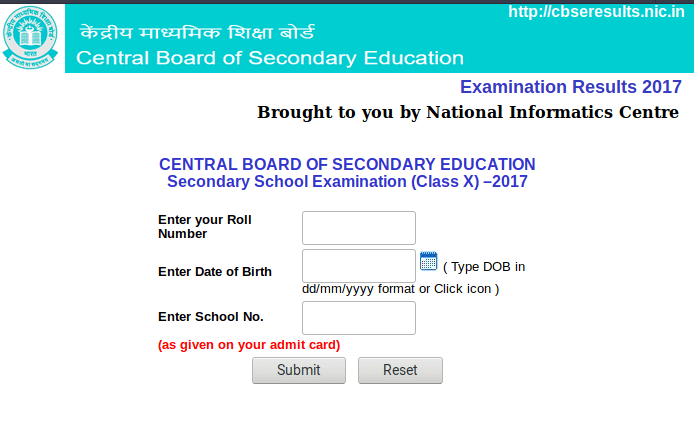 CBSE 10th class students can get their results using their CBSE Exam roll number, date of birth and school number on the direct link given below. The CBSE has organised the 10th and 12th class examinations in March and April 2017. More than 19.85 lakh students have appeared for the 10th and 12th class examinations in the year 2017 while 8.86 lakh students appeared for the Class 10th examinations all over India. The CBSE examination pass percentage is increasing notably every year. In 2016, the CBSE 10th pass percentage was 96.21%; this year the CBSE is anticipating the far better percentage in results. Comparatively, schools registering for the examinations were also increasing annually. Last year 15,309 schools were registered and this year 16,363 schools were registered for the board examinations. This year the CBSE board has conducted the 10th class annual examinations for 3,70,615 girls and 5,15,891 boys. A major number of students from Chennai has participated for examinations. The result website is available now for checking CBSE Result 2017. The overall pass percentage fell to 90.95 per cent from 96.21 per cent last year, registering a dip of over 5 per cent. A total of 16,67,573 candidates appeared for the exam this year. All the ten region 10th class results are out now. The regions are given below. 5. Take a print out of the result for future reference is more advisable. Delhi saw a major dip of 13.67% in the pass performance this year. From 98.40 pass percentage in 2013, the number had Collapsed to 91.76%. This has further gone down to 78.09 this year. Thiruvananthapuram region has highest pass percentage at 99.85, followed by Chennai region at 99.62. Allahabad region is third with 98.23 pass percentage.